Omni Filters BF9 Whole House (Extra Large Capacity) Water Filter - OmniFilter for Safe Drinking Water! The BF9 is OMNI's heavy duty, high-flow whole house water filter. It is an ideal filter for your large home because it can filter a large volume of water. With its 1" NPT connections, the BF9 heavy duty whole house water filter can be installed on standard plumbing pipe. 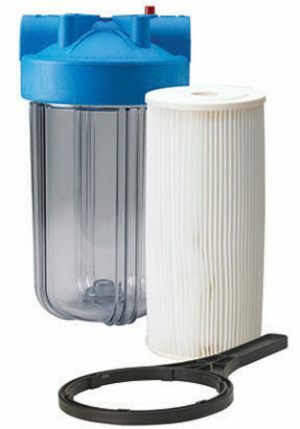 RS6 filter cartridge, OK8 O-ring and OW60 Wrench. comes with RS6 filter cartridge. Purchase RS6, TO6, CB6, TO8 or RO6 Replacement Cartridge singles or multi-packs.